Drivers are always looking for ways to increase safety and decrease accidents. Car manufacturers equip cars with reverse cameras, motion sensors, and vibrating seats that alert you when a car is approaching at a dangerous speed. But the answer to nighttime driver safety may just be a paintjob. Glow in the dark paint not only adds style to your car, but may also help in reducing nighttime accidents. Glow in the dark paint has been used for all types of products to add a little flare and fun. 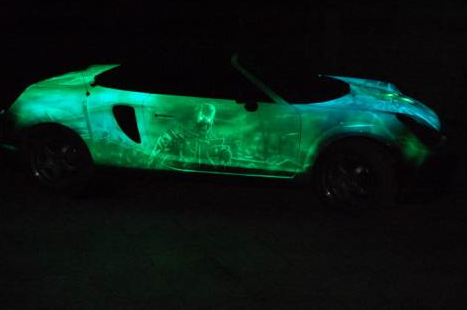 With the introduction of glow in the dark paint on automobiles, car owners are styling their cars like never before. The look is like something out of a science fiction movie. 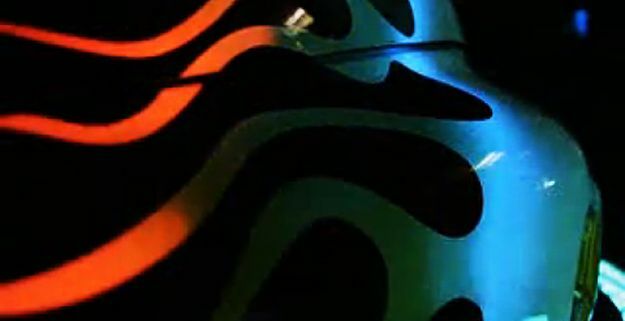 The paint is invisible during the day, but at night the car lights up and shows off the colors. The paint is made from nano-particle blends of non-organic materials. They are environmentally safe and made from recyclable materials. These particles are spherical shaped and so small they look like a powder. The powder is an additive that can be mixed into a variety of different clear paints. It comes in a range of colors from blue, to red, and even yellow. Each layer will offer more color in the dark, so it is suggested that 4 or 5 layers are applied to the car. One it is dried, the particles use the sun to "charge" them the same way most glow in the dark materials do. In the dark the colors come alive and the areas the paint was applied to begins to glow. One of the most common causes of accidents at night is the failure to see the other car. Even with headlights, taillights, and streetlights, drivers are still at risk. With glow in the dark car paint, this would help eliminate the issue. Who wouldn't see a brightly glowing blue car in the middle of the night? Another common problem with driving at night is drivers that simply forget to turn on their headlights until it is too late. Those drivers would still be seen if their cars glowed. As well as those drivers who are unable to see parked cars if they forget to turn on their headlights, if the parked car also glowed in the dark. Depending on your local law, will depend on whether or not glow in the dark car paint is street legal. In many areas there are laws against adding florescent lights or additional lighting beneath the car or license plate area. In the car modification world, these are quite popular. However, under the laws, it states that powered lights are not permitted. With glow in the dark paint not being powered by bulbs, it often does not fall under the restrictions. However, before you paint your entire car a glowing turquoise blue, check with your local laws to make sure it is legal. This will help avoid citations as well as the added cost of getting your car repainted.